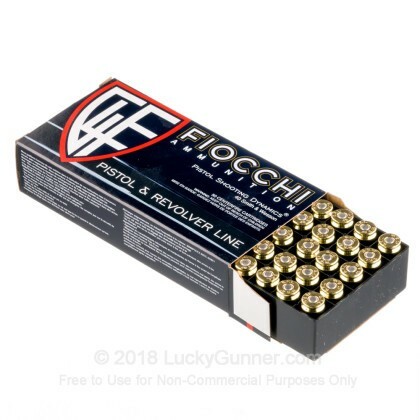 Established in 1872 in Italy, Fiocchi makes a wide variety of ammunition for the range, for hunting, and for various military forces. We shot some of the .40 Smith & Wesson ammo, which features a reloadable brass case, a 180 grain lead core bullet with a full metal jacket, and a non-corrosive primer. Accuracy was overall pretty consistent, with a couple of fliers going low and right from the rest at 15 yards using our SIG P226. 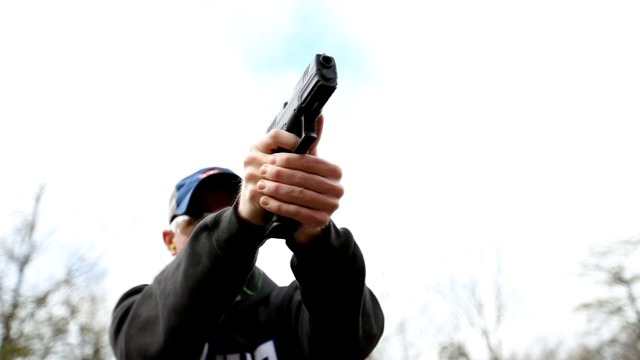 Reliability was great in most of our test guns, but we did have several failures to feed with a Smith & Wesson M&P Compact. The only other ammo this gun has had any issues with is the Fiocchi 170 grain and .40 Smith & Wesson, so there's just something about this ammo that doesn't agree with the Smith & Wesson. Fiocchi ammo is trusted by NATO forces and has several other reputable industry certifications. 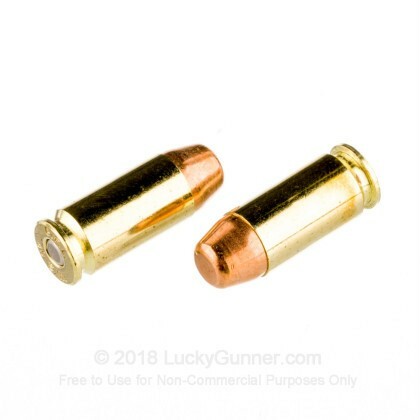 The problems we had with the .40 caliber ammo may just be a fluke, but it does seem to otherwise be high-quality ammunition. 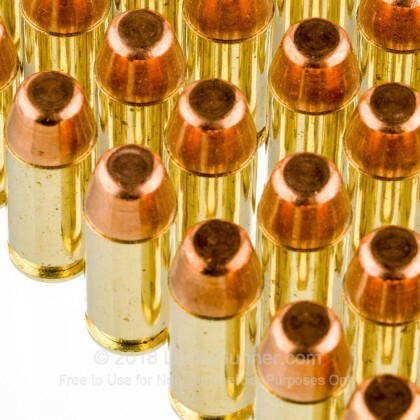 The brass is suitable for reloading and the rounds weren't especially dirty when fired. 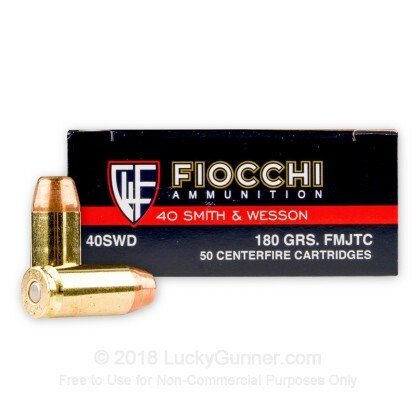 Depending on what gun you're using, if you don't mind the prospect of maybe having to practice a few malfunction drills, then Fiocchi ammo and .40 Smith & Wesson is not a bad overall choice. As others have stated, good ammo. No FTF, FTL or FTE with Fiocchi, and I have had several FTFs and FTL with other brands in my Glock 27. Using .40 S&W and 9 mm for several months now. Very satisfied with the performance. I have to remember that the shipping is so fast when I order. For me delivery to the door is next day which is scary fast. Order by 3pm and arrives by 3pm the next day... That's my experience 3 times now. This ammo is ok, I shot one thousand rounds of it without any problems. Although it's a little dirtier and a little less acurate then the Blazer Brass in my opinion. Heidi rocks and so does lucky Gunner, they ship faster than I can draw and shoot. Good ammo for practice, if all your doing is putting holes in paper or target practicing for fun. I would not buy it again though as long as they had Blazer Brass in stock, in my opinion it's cleaner and more accurate. As always Heidi and the team are fast, real fast! All I ask is that you guys stay competitive with your prices. 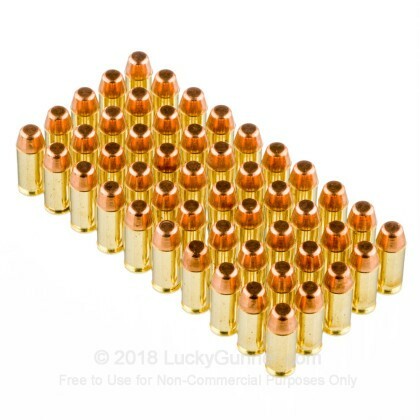 Great price and fastest shipping I've had on ANY ammo. Run these through my Glocks, Beretta's, S&W's, Baby Eagle and HK with no problems. You bet I'll be back.!. 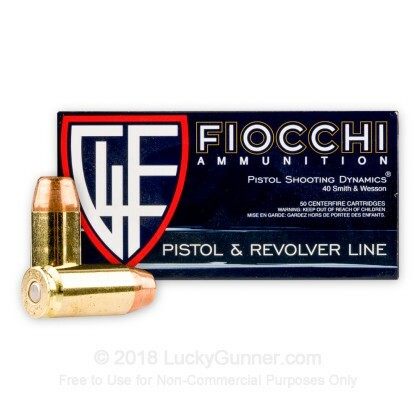 Fiocchi is fast becoming my favorite brand for most rounds. They have a good selection and I have never had issue with their stuff. The same applies to this 40 S&W round. Clean, consistent and accurate in our Glocks, FNs and other guns. Good price and tightly packaged, too. Good stuff at a great price!! Ordered late Saturday. At my door Tuesday afternoon. I will be back for more!! Good stuff and a great price. Ordered late Saturday...was on my door Tuesday afternoon. I'll be back for more! Very clean ammo. I use Fiocchi in both my 9 & 40MM. No problems at all. Quick delivery too. A good value in my opinion. I have had this stuff before and that is why I bought it again,this was the best price. No problems with feed or ejection. Fired 400 rounds through my H&K USP without the slightest problem. Evenly balanced as they strip cleanly and cycle without a problem. Will buy again. Great Stuff - "I'll Be Back!" My Glock feasted on this stuff like politicians do on your tax money. No misfires, no jams, no problems. Fiocchi is a great brand. I will be back. We also have this 40 S&W - 180 Grain FMJ - Fiocchi - 50 Rounds ammo in stock in a smaller quantity.